Leapers, Rot Dogs and Spider Goats - Oh My! I've been sick since early last week, so please forgive the lack of posts. I've been ill, too. Hope you recover swiftly and fully. Sweet Sheet. The yellow one feels particularly awesome. Thank you for the sheet, that is awesome. Sweet. 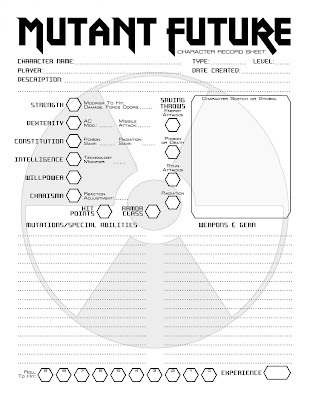 Nothing says "infinite potential" than a blank character sheet. And these look awesome.